On December 11, 2017, the Umonhon Nation Public School Board of Education held their regular Board Meeting to review and revise Policy 5021 regarding Student Searches by School Staff. In an effort to ensure the safety and well-being of all UNPS students, the administration and Board of Education felt compelled to address the ongoing rising concern of dangerous contraband (drugs, alcohol and weapons) being brought on school property. 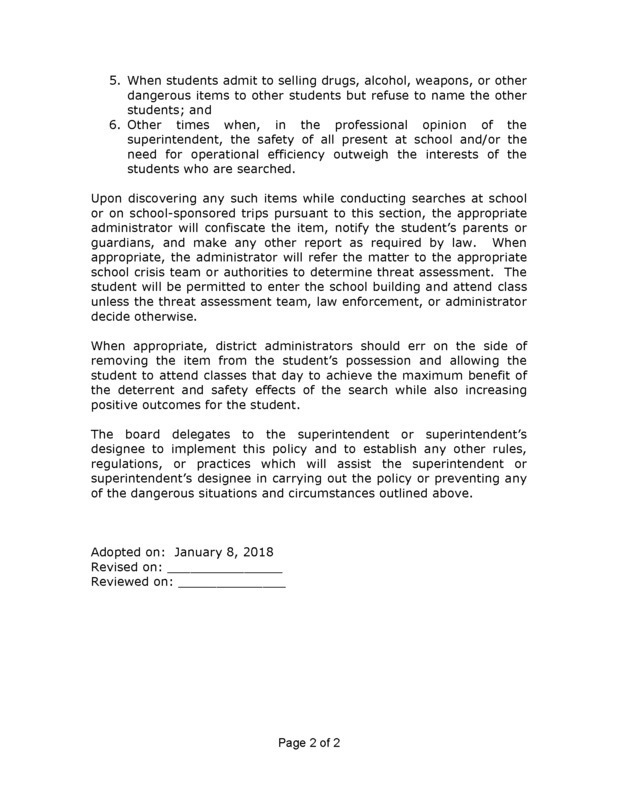 To combat these clear dangers to the safety of the district's students, staff, and stakeholders, the Board authorizes the superintendent and/or superintendent’s designee(s) to conduct searches of students' possessions when deemed appropriate. 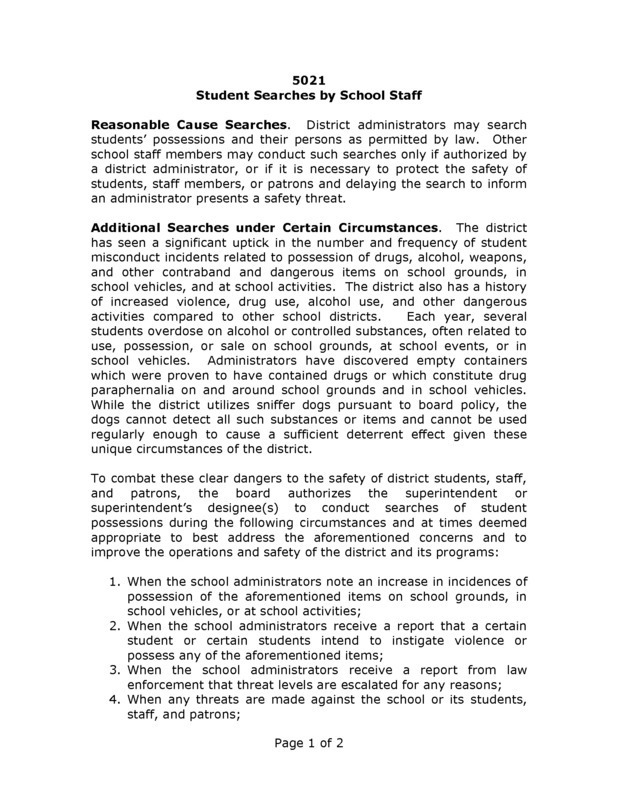 Therefore, let it be known, that in addition to specific search and seizure procedures regarding threats, violence, or intoxication, the superintendent and/or designee(s) can also conduct random searches of bags, lockers and student possessions. Please refer to the attached policy for specific causes for search, seizure of items, and potential consequences regarding the possession of contraband. If you have any questions or concerns regarding this policy, please feel free to contact either Mrs. Hardy, Superintendent of Schools or your local Board of Education members as listed on the district website. We humbly thank you in advance for your support of this policy as we all work together to keep our community and children safe.